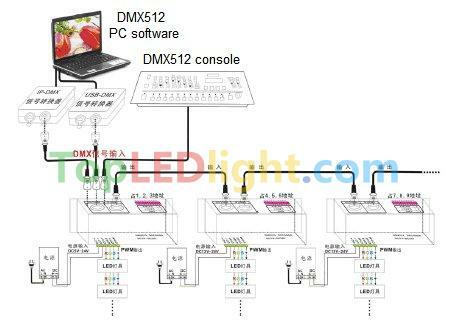 This DMX common controller adopts the advaned micro control unit, it receives standard DMX-512 digital control singal and transformed it into PWM signal for driving LED; You could connect DMX module with DMX digital console to achieve dimming or various changes in procedures. 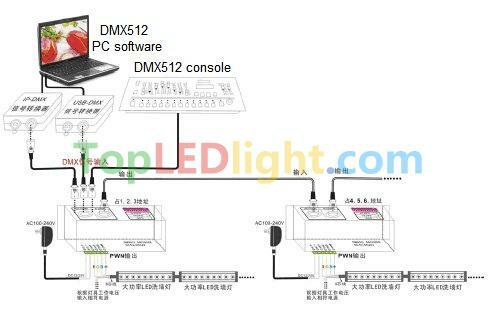 Each DMX common controller occupied 3 DMX addresses, adopt coding switch set address, it is a Binary numerical code switch which is setting DMX original address code from 1 to 9, 1 is the lowest, and 9 is the highest, 511 address codes could be setted in all. 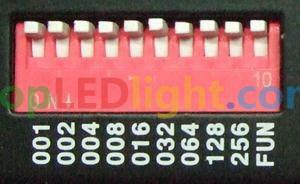 DMX original address code equal aggregate value of the coding switch value from 1 to 9, dial the coding switch upwards (ON is setted 1), the value of bit can be gotten, on the contrary, the value of bit is 0. 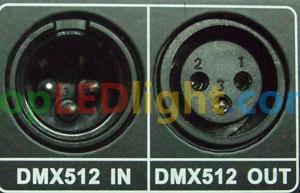 DMX signal can be received when coding switch FUN(10)-OFF(ON is setted 0). 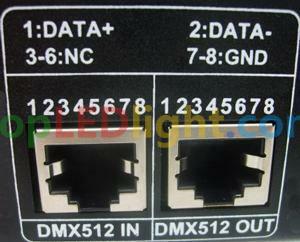 Look at the following picture,if you want to set 37 as the address code,you can only dial down the first,the third and the sixth code switch, the aggregate value of coding switch value from 1 to 9 is 32+4+1,that is,the original address code of DMX512 is 37. 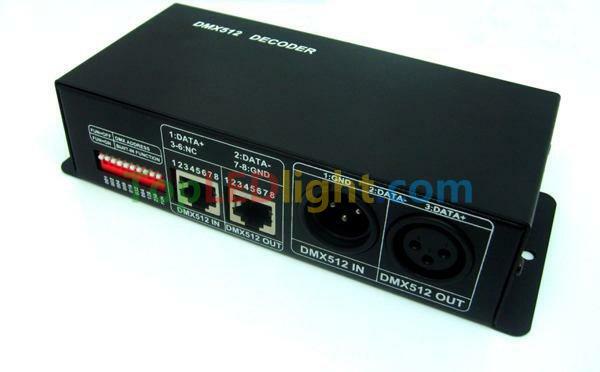 Look at the following picture,if you want to set 328 as the address code,you can only dial down the ninth,the seventh and the fourth code switch, the aggregate value of coding switch value from 1 to 9 is 256+64+8,that is,the original address code of DMX512 is 328. 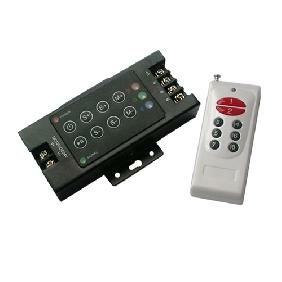 There are several switches=ON at the same time, the great value is standard. 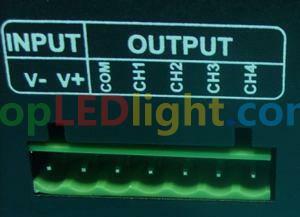 All dial code switches=ON, the state of the decoder shows: to test the functional effects of gradual changing, the speed of change is 7. 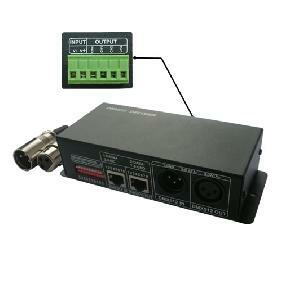 Ordered for use in a community theatre. 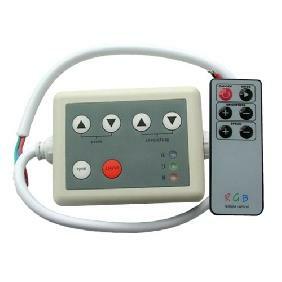 We are now using 10 of them all operating very well. 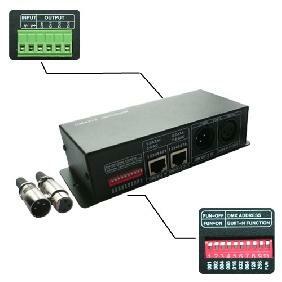 This is every bit as good as the more expensive version that does not have the ethernet ports. 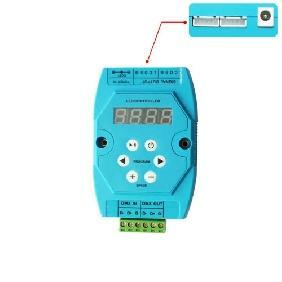 I have a bunch of those but found this one was cheaper and works just as well. 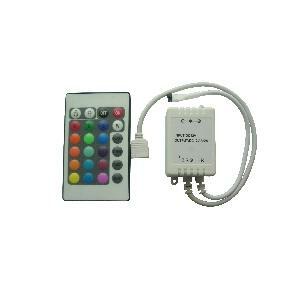 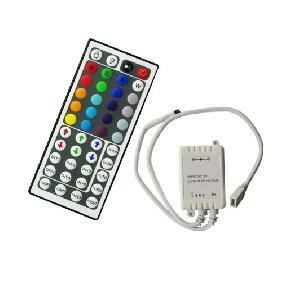 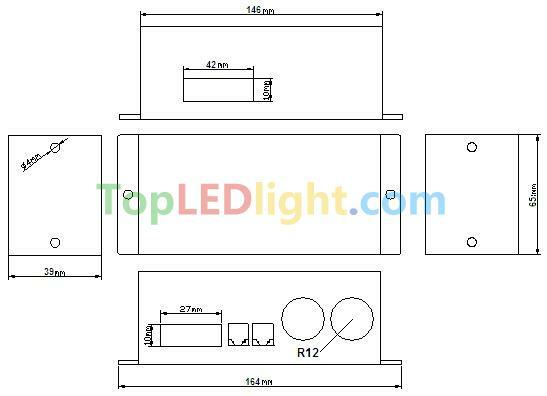 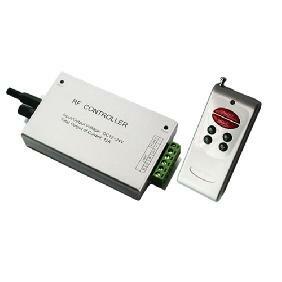 DMX-512 Common Controller Dimmer 4 Channels for Led Light DC 12V-24V Rating: 5 out of 5 based on 3 reviews.